"What is the quantum of that? We're told it is in the many scores of millions of dollars?" "Well so I've heard. No question at all, but that we will challenge the quantum. You're right the settlement agreement does provide for the Ashcroft Alliance to recoup its expenses. I don't see that that's a blank cheque and I have no doubt, given what's been said by The Alliance, that the claim with which we will be confronted is going to be horribly inflated. I think that it will constitute an attempt to recoup what the Alliance has not been able to procure by way of the arbitration award judgements in the United States. So there is no doubt at all that this matter will go back before the CCJ." "However it's you who agreed to pay those legal costs and you know it's like agreeing to pay an alcoholic's bar tab, when you talk about Mr. Ashcroft and legal fees." "I repeat that the whole issue of what is fair and what is legitimate in terms of what can be claimed we accept as we must that there are expenses that we in fact must reimburse, but the fundamental issue of quantum is very much in play. There is no way this was an agreement to pay any at large sum that the alliance's imagination could conjure up, and so, back to the CCJ." "Do you know the figure sir, the quantum?" "No, no, it's not been formally received yet although I gather it's imminent, but we do know, as you say that it's going to be huge, it's going to be absolutely in my mind, unjustifiably, unsustainably inflated and so we are going to challenge." We'll keep following the use to find out what those total legal costs are - but its safe to say its in the many tens of millions. This afternoon, Prime Minister Dean Barrow gathered his most senior advisers to discuss their strategy to deal with the Ashcroft Alliance's legal fees connected to the BTL acquisition. As we told you last night, a very big legal bill is coming. Well, we understand that Government received the full and final total from the Ashcroft Alliance yesterday evening - and while we don't know what it is at this time, we repeat that it is in the tens of millions of dollars. But, to clarify what we first reported last night, those legal costs are not on top of the acquisition costs: they are claimed against the 60% of the entire settlement figure. That 60% represents the amount owed through the accommodation agreement. In settlement talks, the Prime Minister had proposed to use that 60% for social projects in Belize - and as we understand it, Ashcroft agreed to do so, once legal costs are first settled as part of that 60%. But now, we are told those legal costs are amounting to almost all of that 60% figure. "There is no way this was an agreement to pay any at large sum that the Alliance's imagination could conjure up and so back to the CCJ." We expect to learn that final figure for the Ashcroft Alliance's legal costs next week. Last week we reported on the latest battle between the Ashcroft Alliance and the Barrow Administration. It's over legal and other costs - arising from the settlement of the BTL acquisition. We've been reporting that the final figure would be in the many tens of millions of dollars. Tonight, we can report that it is in the hundreds of millions. That's right, figures we've heard put it at 130 million US dollars - that's more than a quarter billion Belize dollars. In just legal and other costs! Now these costs are to be claimed against what is known as the accommodation amount - which is the 60% of the 460 million dollar settlement arising from that agreement. Now, those monies were to go - in Belize dollars - towards, quote, "fund(ing) projects to help the people of Belize". But the agreement was that those funds would be set aside after expenses. And now the bill for those expenses are in, and reports say it's about 250 million Belize dollars - almost all of the Accommodation amount - leaving government with a few million for those social projects. The Prime Minister has said that he will fight it. The leader of the opposition says that he cannot fight the agreement which he signed. 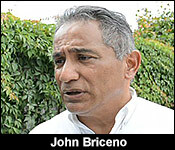 Here are John Bricneo;s comments made on Saturday in Cayo:..
"I don't know why he is going to the Caribbean Court of Justice. It is an agreement that he signed. 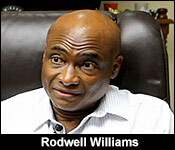 He as an attorney and his law partner Rodwell Williams, both of them are senior counsel, they can understand legal language. They know what they signed. To me it is a sham. He knew what he is signing. Now he wants to give the impression to the Belizean people as if he is fighting for them, because has been proudly 'see I'm going to get this special trust fund for the Belizean people and we the government are going to take out monies from that so we can do something for the Belizean people.' Just to find out that almost all of the money is going to pay the legal fees." The costs would have to be paid in US dollars. As much as one hundred and thirty million U.S. dollars is being sought by the former owners of Belize Telemedia Limited from the Dean Barrow administration. It is the final figure for legal costs arising of the settlement of the takeover of B.T.L. in 2009 and again in 2011. These costs were to be claimed against the amount assigned to the Accommodation Agreement, about sixty percent of the half-a-billion dollar settlement. The remainder, in Belize dollars, was to be dedicated to funding projects to help the Belizean people. But one of the major worries after last year’s debacle with the first payment, initially given in Belize dollars then later in U.S. dollars – that much or all of the remainder would go toward expenses rather than the wishes of the Government – seems to have come to pass. 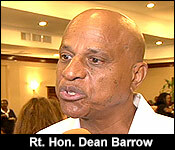 And Prime Minister Dean Barrow has already signalled that he wants to fight it in the Caribbean Court of Justice. The Leader of the Opposition says that he cannot fight an agreement which he signed and which was poorly drafted and cost government even more millions. John Briceño spoke to reporters earlier today. On Thursday, June 1, the firms of Moore Stephens Magaña LLP and Crowe Horwath reportedly served Prime Minister and Minister of Finance Dean Barrow with a letter claiming that virtually all the balance due in settlement of nationalization of Belize Telemedia Limited (BTL), which Barrow had said would be paid in Belize dollars and spent on projects in Belize, should instead be paid mostly in US currency to settle the expenses incurred by the former shareholders of BTL in pursuing compensation for the appropriation of their BTL shares back in 2009. As Amandala readers will recall, when Barrow detailed the settlement agreement he had hatched out with British billionaire Michael Ashcroft back in 2015, prior to being re-elected to a third term in office, he claimed that the parties had agreed that the portion attributable to the accommodation agreement—which Barrow had rescinded claiming that the agreement, which did not have parliamentary sanction, was contrary to Belizean law—would be spent on projects for the benefit of Belize. The arbitration panel last year handed down a decision in which 60% of the total figure awarded was attributable to the accommodation agreement and only 40% was attributable to the core value of the BTL shares. “They have come with a stunning claim without any supporting documentation,” Waight said. 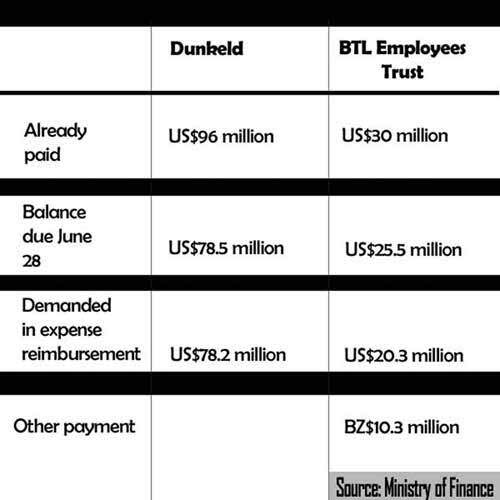 The letter issued to the Finance Minister on June 1 claims US$78.2 million out of the US$78.5 million balance due to be paid to Dunkeld International Investments on June 28, and of the US$25.5 million due to the Ashcroft-controlled BTL Employees Trust, US$20.3 million is being claimed in expenses, with a further BZ$10.3 million being claimed. 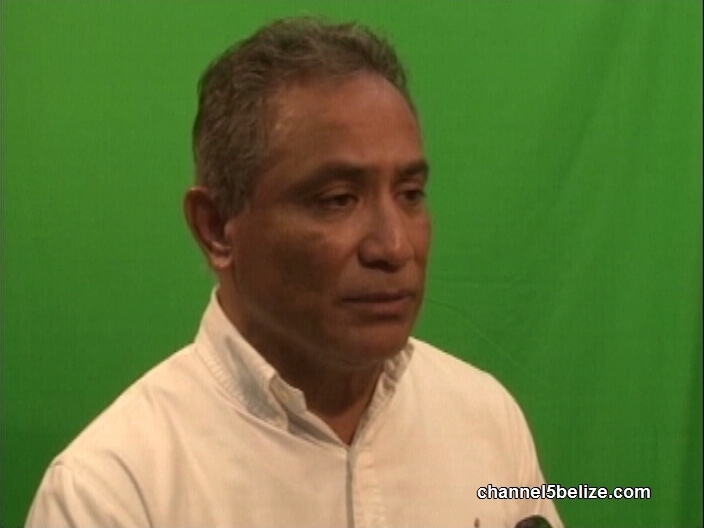 Waight says that the Belize dollar portion, as per the agreement, is presumably for the charitable projects, and he points to assertions made by Barrow to the media last week that the Government will challenge Ashcroft’s attempt to claim nearly all the balance in expenses. Barrow had told the press that although there are expenses that the Government must reimburse to the Ashcroft group, the fundamental issue of how big that bill ought to be is in dispute. “I don’t see that that’s a blank check and I have no doubt, given what’s been said by the Alliance, that the claim with which we will be confronted is going to be horribly inflated,” Barrow said. 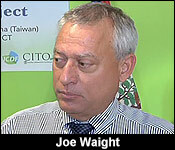 Back in September 2016, after studying what the CCJ found to be a poorly drafted settlement agreement, the CCJ ordered GOB to pay Ashcroft 50% of the funds in US dollars—not primarily in Belize dollars as the Government of Belize had done, to settle payment for half of the amount remaining after the initial payment of BZ$65 million was made. 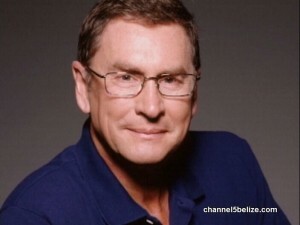 Eamon Courtenay, SC, attorney for the Ashcroft companies, had explained that the issue of what would be left to be paid in Belize dollars for projects remained unresolved. He said that the Dunkeld liabilities—which include legal fees—have to be brought into account and those had not been finalized at the time of the CCJ decision. The figure, said Courtenay, would have to be deducted from the balance, and the Belize dollar portion left would go to Hayward Charitable Trust for projects in Belize. The total balance to be paid in just over three weeks is US$104 million. “The issue really is how much in allowable, reasonable expenses can they claim in US dollars, leaving a balance of Belize dollars for projects. Under the settlement deed, it was agreed that out of the Belize dollar portion, they could set off some expenses in US dollars,” Waight explained. The Government of Belize made an initial payment of BZ$65 million to the Ashcroft group in 2015, and after the arbitration award of nearly half-a-billion dollars was handed down last year, it made another payment, which was challenged at the CCJ because the Ashcroft group wanted all the money in US dollars, not in the mix of currencies paid by the Government. The Government had argued that the portion paid in Belize dollars was to remain in Belize to finance projects here, but because of the CCJ’s interpretation of the agreement, the court ordered the Government to pay the money in US dollars, all of which went to the former shareholders, leaving none for local projects. It remains to be seen how the CCJ would rule if this new dispute over payments is remitted back to the CCJ for a decision, and how much, based on the court’s interpretation of the settlement agreement, would actually be left for local projects. The ruling party has said that the BZ$233 million it was anticipating out of the deal would fund Government’s capital projects. However, some of that went to the Ashcroft group when the second payment was settled in 2016. "The claim for their cost is about 95 million US dollars, leaving about 5 million dollars or so left. We are going to challenge that." "At the end of the day this figure they are claiming is in US dollars. 95 million is a quarter of the reserves or a third of the reserve roughly. We can't pay that." "We can't pay and even the order to pay, we can't pay. Let's not jump the gun. Let's see how the process runs." "Do you think it's an outrageous figure?" "Completely. We havent seen the details." "No breakdown has been given?" "Just a figure and that is strategy on their part I believe. Of course any court would want to see the breakdown." The Government of Belize is hoping to secure the services of a Trinidadian lawyer operating in the British Virgin Islands to help argue its case at the Caribbean Court of Justice in what will likely be a new round of litigation at the country’s highest appellate court, absent resolution by the Government of Belize and the Michael Ashcroft group of a dispute over the final US$104 million in payments due on June 28 for the Government’s 2009 acquisition of Belize Telemedia Limited. Under the September 2015 settlement agreement between the parties, the litigants are allowed to deduct their expenses incurred in pursuing the claim from the portion of the almost half-a-billion dollar award attributable to the accommodation agreement of 2005. It turns out that the Ashcroft group is claiming almost 99% of the money, said Financial Secretary Joseph Waight. Two companies of the Ashcroft group which were formerly shareholders of BTL before the administration of Prime Minister Dean Barrow nationalized the company back in 2009 have filed a letter of claim and a certification from two auditors saying that their numbers are correct. There are two problems with this claim, said the Financial Secretary. One is the reasonableness of it and the other is the Government’s inability to pay the money in US dollars. Under the settlement agreement, the portion attributable to the accommodation agreement, which accounted for about two-thirds of the award, minus expenses incurred by the litigants, was to have been paid in Belize dollars, reducing the impact of the pay-out on the nation’s foreign reserves. When the Government argued last year, on making the second payout to the former shareholders, that it could not meet the demanded payment in US dollars, and furthermore that some of those funds were to have been paid in Belize dollars for projects in Belize, the CCJ ruled that the Government had to pay the entire sum due last year in US dollars, based on the wording of the agreement. That meant that nothing was left for public projects in the country. Waight said that even if the CCJ rules that GOB has to pay the sum all in US dollars this time around, and not in Belize dollars as it was anticipating, it would ask the court to allow it to pay in installments, since the Government would have to get in a queue at the Central Bank to obtain the funds. The downside of that would be that interest will continue to accrue on the outstanding payment, potentially causing it to balloon if default interest were to be tagged on. The 2017-2018 budget did not make allowance for this June 28 payment, said Waight, adding that a supplementary budget would have to be introduced in Parliament to cover it. The bottom-line is that Government does not have the money to pay, and the $50 million it has earned from the sale of utility shares, said Waight, is not enough to settle the tab. He told us that the Government would have to resort to borrowing to meet the final payment.